Sir Isaac Newton when he was a boy, was more interested in making mechanical* devices than in studying. He made a windmill which could grind wheat and corn, and he made a water clock and a sundial. His teachers thought of him as a poor student. He wanted to go to college, but he didn't have the money to go. He enrolled at the lowest entry. In this position he had to serve the other students by running errands for them. He even ate the leftovers of their meals, but he would do anything to get an opportunity to learn. Even when he was in college, he was not outstanding and received no awards. When the university shut down because of the plague, he went home and continued to study on his own. He had a notebook with 140 blank pages and he began to fill them with notes as he read and experimented. His childlike curiosity led him to make some very important discoveries when he became a man. Within a period of a year and half he made three great discoveries. One day when he was drinking tea in the garden, he saw an apple fall to the ground. He started thinking about why it fell, and finally concluded that the same force which caused the apple to fall also kept the moon in orbit around the earth. This same force, gravity,* also kept the planets in orbit around the sun. The apple incident led to his basic laws of motion: An object in motion tends to remain in motion unless an external force stops it, an object moves in a straight line unless some force diverts it; and for every action, there is an equal and opposite reaction. These are both parts of the first law, as they are both describing the fact that unless a (resultant) force acts, the motion of an object remains the same (i.e. same speed and same direction). This also includes the fact that an object at rest does not suddenly start to move unless made to do so by a force. The second law is about HOW the force affects the motion. A relatively small force could make, say, a tennis ball accelerate a lot (e.g. changing its direction completely), but could not make the motion of, for example, a truck change very much. This is because the mass of the objects are very different. Similarly, if two objects had the same mass, a Large force would change the motion a lot, where as a small force not so much. So the change in motion depends on the size of the force and the mass of the object. This force is often written as Force = mass x acceleration. He didn't publish his findings for a long time. Edmund Halley, an astronomer,* urged him to publish the things he had learned. His second discovery was about light and the properties of light. He spent months in a darkened room doing experiments. He passed a beam of sunlight through a prism and discovered that the beam of light was broken down into different colors. His conclusion: something that appears green, such as grass, looks green because it reflects the green light in the sun and absorbs most of the other colors. Some of his experimenting was dangerous. He would look at the sun, (something his mother had told him never to do), and he would stare at the reflection of the sun in a mirror until he lost his sight. Then he shut himself up in a dark room for several days until his vision finally returned. 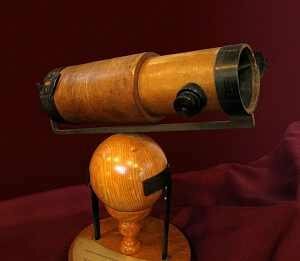 He also made a reflecting telescope to use in his studies. 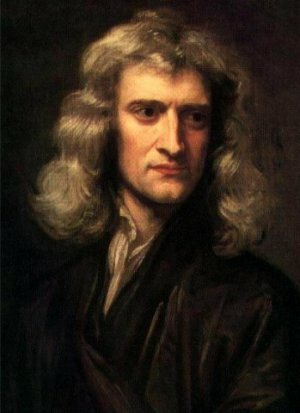 Newton's third great discovery was in the field of math when he developed a kind of math we call calculus. * He was just 24 years old at the time. However, he did not publish his findings for about 20 years, and by then someone else had figured out the same thing. Newton said the man had stolen his idea. There was a bitter debate over which man made the discovery. Newton got his friends to say he was the one. However, 200 years later, it was decided that both men had come to the same conclusion without help from the other one. By the time he was in his mid 50's he had worn himself out and suffered from exhaustion. Some were even afraid he might have mercury poisoning caused by his experiments. In 1696 he became the head of the mint where the coins were made. There was a lot of counterfeiting. * People were making their own coins. So the mint started replacing all the coins with new coins. Newton would dress up in disguises so no one would know him, and he would go out on the streets of London to try and catch the counterfeiters. He was successful in capturing the people who were responsible. 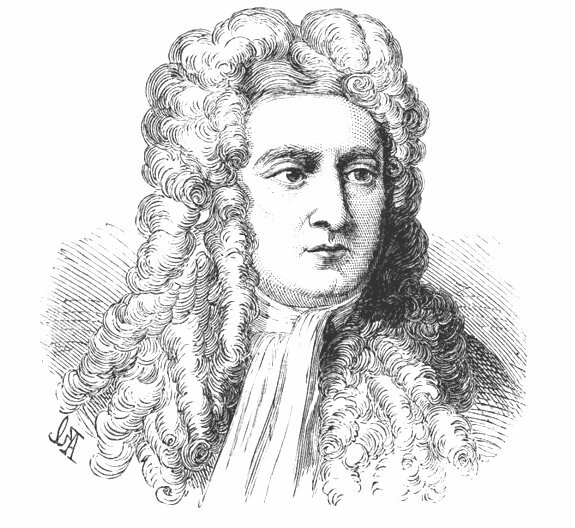 Sir Isaac Newton never married. It is said he was very generous with his nieces and nephews and with the scientists who helped him in his work. you view the following video lessons. Click on the link "Click Here to Begin Lesson"
At biography.com search for Isaac Newton. Scroll the panel for the "Video & Audio Results". very very very helpful and need helping thank you and i sent this to many of my friends :). This page displayed 613,550 times.